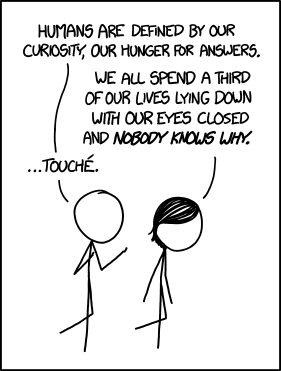 The excellent web-toon XKCD said it best when it pointed out that we all spend so much time sleeping—and most of us love doing it—but we still don’t know why. But never fear, some scientists finally think they may have a clue—a discovery so significant it was a runner-up for Science magazine’s Breakthrough of the Year. Of course, we do know that we need sleep, on the basis that insomnia and sleep deprivation are harmful. The trouble is that how exactly they’re harmful isn’t known either—experiments by Allan Rechtschaffen in the 1980s found that sleep deprivation was eventually fatal to rats, but a specific cause of death couldn’t be found. An obvious one would be that sleep conserves energy, which is fine except that we use only 5-10% less energy asleep than awake, which from an evolutionary point of view doesn’t sound enough to justify the increased vulnerability to predators. However, it could also help protect from predators, as hiding somewhere without moving is safer than running around in the open; although again, simply sitting still, or quiescence, would be just as effective and make it possible to react in an emergency. Growth hormones do seem to be influenced by sleep, but there doesn’t seem to be a strong correlation between children’s growth and their amount of sleep; plus, it doesn’t explain why adults sleep. Memory does benefit, as numerous studies have shown that a good night’s sleep helps you remember what you learned the previous day, with some suggesting that it gives the brain the chance to remove unnecessary connections. Maybe not the whole story though, as animals with very simple brains also go through a sleep cycle. Restoring the body may be closer to the mark, as a 2004 study (also on rats) showed that sleep deprivation may slow the healing of wounds. The immune system also seems to benefit, as further rat studies found that sleep deprivation reduced white blood cell counts and increased other cells and chemicals that encourage cancer growth. Furthering this theme of restoration, a new study by researchers led by Maiken Nedergaard at the University of Rochester in upstate New York, has found a connection between sleep and a brain-cleaning system they discovered (Xie L, Kang H, Xu Q, Chen MJ, Liao Y, Thiyagarajan M, O’Donnell J, Christensen DJ, Nicholson C, Iliff JJ, Takano T, Deane R & Nedergaard M 2013, “Sleep drives metabolite clearance from the adult brain”, Science, vol. 342, no. 6156, pp. 373–377, DOI: 10.1126/science.1241224 [PDF 1.9 MB]). They call this the “glymphatic system”. It’s similar to the lymphatic system, and it actually connects to it. Lymph comes from the interstitial fluid, the stuff between cells, which has its own circulation system that removes bacteria and toxins, sending them through the lymph nodes and eventually to the veins so they can be cleaned from the body. However, the lymphatic system doesn’t go through the brain. That’s because the brain has its own cerebro-spinal fluid. This is the liquid that the brain sits in—it actually floats in a big bag of the stuff, which prevents it being damaged by its own weight, as well as cushioning it against injury. What Nedergaard’s team discovered is that this cerebra-spinal fluid (CSF) also flows through channels around ordinary blood vessels, and then on through other, smaller conduits formed by glial cells (these are cells in the nervous system that aren’t neurons—the name actually comes from the Greek word for “glue”, in that they glue the nerves together. Basically, they’re the support system for the nervous system). This flow of the CSF removes waste products that neurons produce, things like like beta amyloid, which is a protein that accumulates and forms sticky plaques in patients with Alzheimer’s disease. For such an important system, it’s surprising that it was only identified a couple of years ago. But that’s until you consider that it only operates in living brains: it needed to wait for the development of sophisticated brain scanning technology. In this case, they used a technique called two-photon microscopy, in which fluorescent dyes are activated by two photons in the infrared range, which penetrates further into tissue. With this method they found that during sleep the brain cells reduce in size by 60%, creating more space between them for the cerebro-spinal fluid to flow through and flush out waste products. Whether this is still the main explanation for why we sleep is still unknown, but as other experts have said, it does demonstrate one clear physiological function. And it’s consistent with the other studies that suggest restorative benefits, like with wounds and the immune system. Many of us are suspicious of pharmaceutical companies, and rightly so: they have an increasing influence on medical practice. Even if they’re not necessarily being evil, the opportunity and temptation for mischief is definitely there. A recent study by Ray Moynihan of Bond University and colleagues showed that the expert panels that define diseases often have ties to companies that stand to benefit from broadening their scope (Moynihan RM, Cooke GPE, Doust JA, Bero L, Hill S & Glasziou PP 2013, “Expanding disease definitions in guidelines and expert panel ties to industry: a cross-sectional study of common conditions in the United States”, PLoS Medicine, vol. 10, no. 8, e1001500, doi:10.1371/journal.pmed.1001500). These panels put out guidelines for doctors that are meant to summarise the latest thinking on how a disease should be diagnosed and what treatment is recommended. And these are fairly common and significant conditions: the study looked at panels covering asthma, bipolar, high cholesterol, chronic obstructive pulmonary (i.e., lung) disease, depression, type 2 diabetes, hypertension, gastric reflux (GERD), myocardial infarction (heart attack), multiple sclerosis and rheumatoid arthritis. What they found was that of 16 disease redefinitions published between 2000 and April 2013, ten of them proposed changes widening disease diagnosis, and only one narrowed a definition. Furthermore, among the 14 panels which disclosed industry ties, 75% of their members had such connections – to a median of seven companies each. And 12 panels were actually chaired by people with industry ties. Quite unsurprisingly – for cynics amongst us, at least – the highest proportions of ties were to companies that manufactured drugs used to treat the relevant disease. For a closer look, let’s choose one of the most common conditions on the list: high blood pressure, otherwise known as hypertension. The panel in question defined a new condition, “pre-hypertension”, where people who would previously have been considered to have normal blood pressure are at risk of future adverse effects. 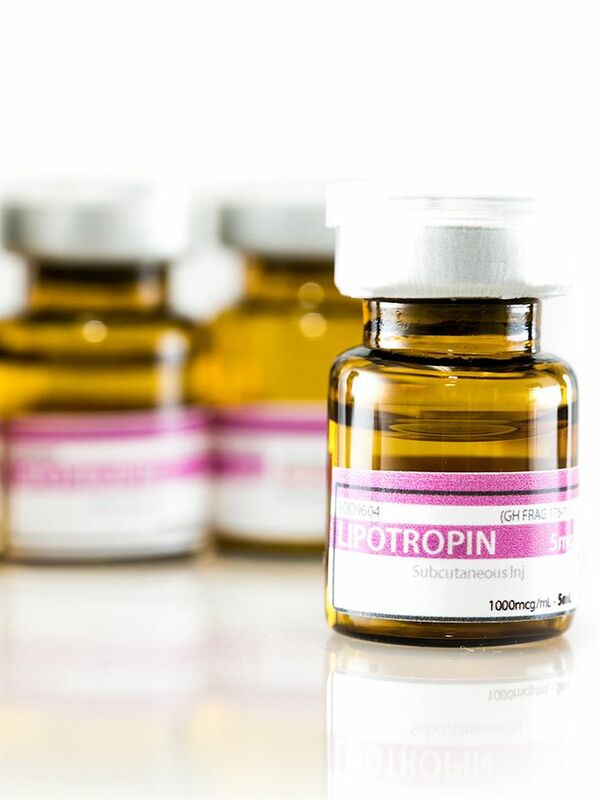 Although the panel cited research for their decision – which we’ll come to later – eight of the 11 panel members had financial ties to companies that make hypertension drugs: companies like Bristol-Myers Squibb, Merck and Novartis. You’d have to imagine it’s in the interest of those companies for more people to be prescribed blood pressure medication. Which isn’t good, considering those drugs have been shown not to be much help for people with mildly high blood pressure, i.e. between 140/90 and 159/99 (Diao D, Wright JM, Cundiff DK & Gueyffier F, “Pharmacotherapy for mild hypertension”, Cochrane Database of Systematic Reviews 2012, issue 8, art. no. : CD006742. DOI: 10.1002/14651858.CD006742.pub2). Not only that, but it’s part of a growing trend towards overdiagnosis, where more and more people are considered diseased, purely due to redefining illness rather than any change to the patients themselves. So, a pretty clear case of conflict of interest, right? Well, maybe… But when you look deeper into the actual change, the story’s slightly different. In the report where the panel introduced pre-hypertension – defined as blood pressure between 120/80 and 139/89 – they actually recommended patients change their lifestyle to prevent heart disease – not take medication (Chobanian AV, Bakris GL, Black HR, et al. 2003, “The seventh report of the Joint National Committee on Prevention, Detection, Evaluation, and Treatment of High Blood Pressure: The JNC 7 Report”, Journal of the American Medical Association, vol. 289, no. 19, pp. 2560-2571, doi:10.1001/jama.289.19.2560). So they’re not necessarily getting new customers for the companies they’re tied to – in fact, if the lifestyle changes work they could be losing future customers. And given that there are indeed studies that claim pre-hypertension triples your risk of heart attack, then improving your lifestyle probably isn’t a bad thing (Qureshi AI, M. Suri MFK, Kirmani JF, Divani AA, Mohammad Y 2005, “Is prehypertension a risk factor for cardiovascular diseases?”, Stroke: Journal of the American Heart Association, no. 36, pp. 1859-1863, doi: 10.1161/​01.STR.0000177495.45580.f1). Now, to be fair Moynihan et al’s paper didn’t actually make any judgements about whether the disease redefinitions were good or bad. And they also admit that they haven’t proven that industry ties are causing the broadening of diagnoses – in the absence of control groups, you can’t say what a non-industry panel would have concluded. But it does show how the system works, and it raises questions about what can or should be done to avoid conflicts of interest. One of those probably is to make sure frontline doctors are independent and fully-informed of the biases, so that they can choose the best treatment for each patient. Human nature being what it is, if there’s an opportunity for abuse of power, someone’s going to abuse it. Actually, we’re not going to say that you absolutely must put science and research policies first at this Saturday’s federal election – there are plenty of big issues going on. But it’s important to know what priority the parties put on science and knowledge, as well as what it means for economic progress beyond mining booms. Our own political reporter, Stu Burns, contacted the major parties, but the response was, shall we say, limited. Fortunately, Science and Technology Australia conducts a similar exercise every federal election, and they’ve gotten some answers – go to their website for the full Science and Technology Australia questionnaire. The gist is that only the Greens have put out a fully costed (i.e., with dollars and everything) science and research policy. Their main target is to increase research funding to 3% of GDP by 2020. That’s a fairly long term target, and the amounts the Greens have put forward in their policy don’t add up to anywhere near the 3%, but they’re a step in that direction. Of the other two, the ALP points to everything they’ve done over the past 6 years, as well as a handful of funding commitments they’ve made, mostly in the area of medical research. Now, this is a sensitive issue. 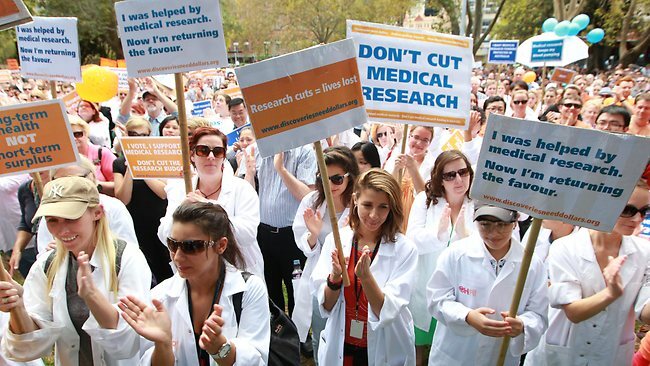 Two years ago, talk of cuts to the National Health and Medical Research Council (NHMRC) led to the rare sight of scientists marching in the street, and later that year the government announced the McKeon Review of Health and Medical Research (www.mckeonreview.org.au). Apart from the obvious benefits to patients, medical research is also an area where Australia performs quite well, including winning Nobel Prizes. So it’s a good field to develop. Plus, with increasing health costs – and each new drug apparently costing pharmaceutical companies $5 billion to develop – governments need to play a bigger role if medicine is to continue to innovate. But generally, as with many of their other policies, they mostly just commit to review the situation if they get in. So nothing terribly specific, or binding. The other interesting thing that all the parties say is that they’re committed to science and evidence-based policies in general. Make of that what you will… Climate change, anyone? You can hear our full discussion of these policies in our podcast for 5 September 2013. UPDATE – The ALP’s Senator Kim Carr has released a last minute science and research policy (PDF 312 KB). It mentions a few fields beyond medical research – doesn’t drastically alter the overall position though. 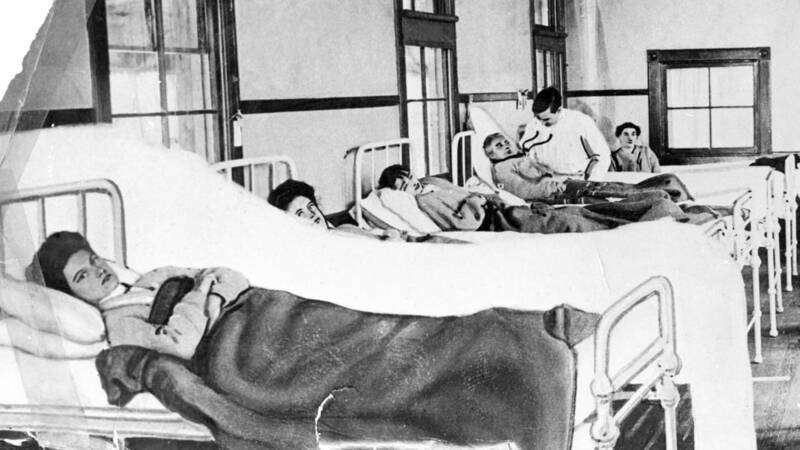 Her name is pretty much a synonym for “disease carrier”, and now it seems that Typhoid Mary’s own immune system was the key to her long-lasting infectiousness. You’ve probably heard of typhoid fever, which was the condition she carried – although it’s unlikely you’ve encountered it yourself. It’s a bacterial disease that is spread from human to human by contact with urine or faeces. It still affects an estimated 33 million people per year in the developing world, and up to 200,000 people die as a result. But in developed countries it has been almost eliminated through simple hygiene such as washing hands and food, and engineering sewerage systems that remove potential sources of infection. Up until antibiotics like penicillin were developed in the mid-20th century, preventative measures like these were definitely the main option for avoiding the disease. And in New York in 1907, that meant keeping away from Mary Mallon. Better known as ‘Typhoid Mary’, Mallon was a cook in New York. In 1907, a government sanitation worker traced cases of typhoid fever back to her cooking in the seaside resort town of Oyster Bay. The mystery was, if she was infected with Typhoid fever – which is caused by the bacteria Salmonella typhi – why was she exhibiting no delirium, or gastric symptoms? It was known form other cases in Europe that some individuals could carry the bacteria internally, without developing symptoms, and as an asymptomatic carrier, Mallon was quarantined – much to her frustration. She was allowed to return to the outside world after three years if she promised to never work in a kitchen. But she broke her promise and infected further patients, and was again incarcerated for the protection of the public, this time until her death in 1938. Her autopsy revealed Salmonella bacteria still living in her gall bladder, yet she never exhibited any symptoms of typhoid fever. Pathologist Denise Monack and her team working at Stanford University and University of California San Francisco recently published a paper which may offer a potential explanation for Mary Mallon’s relative longevity (Eisele NA, Ruby T, Jacobson A, Manzanillo PS, Cox JS, Lam L, Mukundan L, Chawla A & Monack DM 2013, “Salmonella Require the Fatty Acid Regulator PPARδ for the Establishment of a Metabolic Environment Essential for Long-Term Persistence”, Cell Host & Microbe, vol. 4, no. 2, pp. 171-182, doi:10.1016/j.chom.2013.07.010). They observed typhoid fever-causing bacteria hijacking immune system cells in mice – the Salmonella bacteria actually invade the macrophage cells sent to destroy them. They found that bacteria could hide out inside the cells and proliferate there by actually hacking into part of the cell metabolism that allows them to break down fatty acids for energy. There are not many bacteria that can use this Trojan horse method of survival; typhoid fever is caused by one, while another relatively common pathogen that can is Myobacterium tuberculosis. Even though typhoid fever isn’t as big a problem today, the discovery will help pathologists understand the life-cycles of hard-to-kill bacterial infections, and potentially aid in the treatment of antibiotic-resistant bacteria. Just a final point on the elimination of typhoid in developed countries: it declined massively whenever chlorine was introduced to the water supply. This is a friendly reminder to those who are concerned their precious bodily fluids are under attack, that they can attack others in return. This week on the show we reported on National Science Week, Australia’s biggest festival (seriously, it spans the whole country and this year featured more than 1,800 events). One show we encountered – and which you may have been lucky enough to experience too since it travelled all over the countryside – was i Heart Music, from the University of NSW’s Museum of Human Disease. In case you missed it, this involved recording people’s heartbeats, which were then used by musicians as inspiration for live jazz. Live interpretive jazz. And if you find yourself near the University of NSW in Kensington, Sydney, pop in and visit the Museum of Human Disease. It’s a wonderful, educational collection of medical specimens that show what various diseases do to the body. Maybe don’t eat lunch first. This week on the show, Beth spoke to Professor Nicola Lautenschlager from the University of Melbourne about her call for volunteers for research into preventing dementia with exercise. Alzheimer’s disease is the main cause of dementia in older Australians, with more than 321,600 people living with the condition and another 1700 diagnosed every week. However, clinical research indicates that physical activity can help prevent its onset (see for example Lautenschlager NT, Cox KL, Flicker L, Foster JK, van Bockxmeer FM, Xiao J, Greenop KR & Almeida OP 2008, “Effect of physical activity on cognitive function in older adults at risk for Alzheimer disease: a randomized trial”, Journal of the American Medical Association, vol. 300, no.9, pp. 1027-1037, doi:10.1001/jama.300.9.1027). How it works isn’t clear, but it’s estimated that exercise could prevent 13% of Alzheimer’s disease cases. The challenge then is how to get people to do more exercise so they get these benefits, and this is where Prof Lautenschlager’s latest research comes in. She’s looking for people aged 60-80 in the Melbourne area who have concerns about their memory and currently do less than 30 minutes of exercise per week. In addition, she needs moderately active people aged 50-85 who can act as mentors for the first group. If you’re interested in taking part in this study, you can find out more from the National Ageing Research Institute, or call Ellen Gaffy on (03) 8387 2296. If you go down to your local running track, chances are you’ll see people wearing tights. And, more often than not, shorts over the tights. But is there any science behind it, and if so, can science explain why Superman wore his undies on the outside? A typical scene at any modern running event – men stretching to prepare, wearing shorts over tights. Clearly, it’s not due to fashion. Certainly it seems that Superman and his peers set the precedent. As a kid I was somewhat bothered by the contradiction that although superheroes supposedly wore tights due to their highly physical jobs, real athletes of the time wore comfortable loose-fitting clothing. So it’s a good thing that trends and technology are finally coming around to the comic book ideal. However, they were harder to find in shops than I expected. Yes, there were tracksuit pants, but mostly in the bigger sizes: XXL, XXXL, etc. If you wanted something in, say, large or medium, the main option was compression tights. From this I got the impression that when it came to leisure wear, marketers were dividing things into two types of leisure: the running around type, which is slim people in tights, and sitting around on the couch, which is large people in tracky dacks. 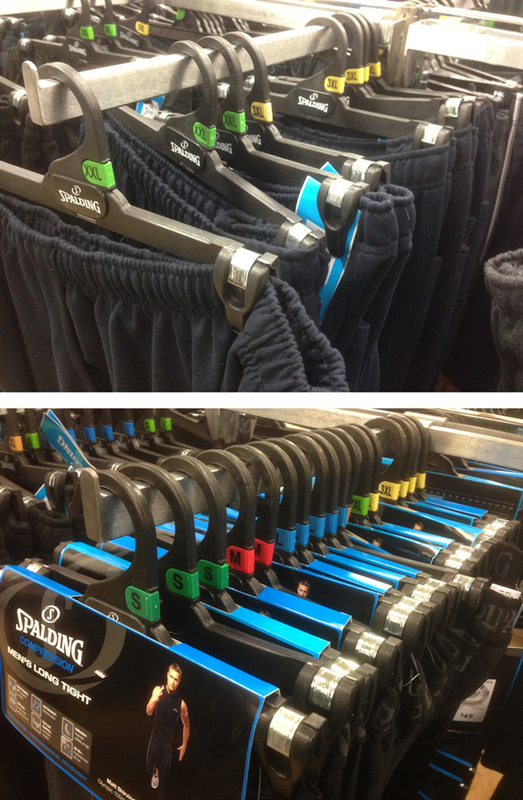 A very scientific comparison of the range of tracksuit pants and running tights as seen in Target. Things have improved slightly, but it still trends towards dacks big, tights small. Those marketers are clearly onto something, because people are spending a lot of money on these things: a pair of tights can cost over $100. One reference I found said that And the entire sporting goods industry is worth as much as 100 billion dollars worldwide (Weijie Fu, Yu Liu & Ying Fang 2013, “Research advancements in humanoid compression garments in sports”, International Journal of Advanced Robotic Systems, vol. 10, 66:2013, DOI: 10.5772/54560 [PDF 637 KB]). It’s probably worth asking whether they actually work. Well, this turns out to be one of those “opinion is divided”, or “more research is needed” topics. Some studies have found a benefit, some haven’t. And it turns out to be really hard to do a double-blinded experiment, because – surprise! – people know if they’re wearing pants. But also it might depend on the type of exercise you’re doing. One non-sporting use for which we do know compression garments work, is the prevention of deep vein thrombosis. That’s where you get blood clots in your legs due to not moving for long periods of time, for instance in a hospital bed or on a long-distance airline flight. 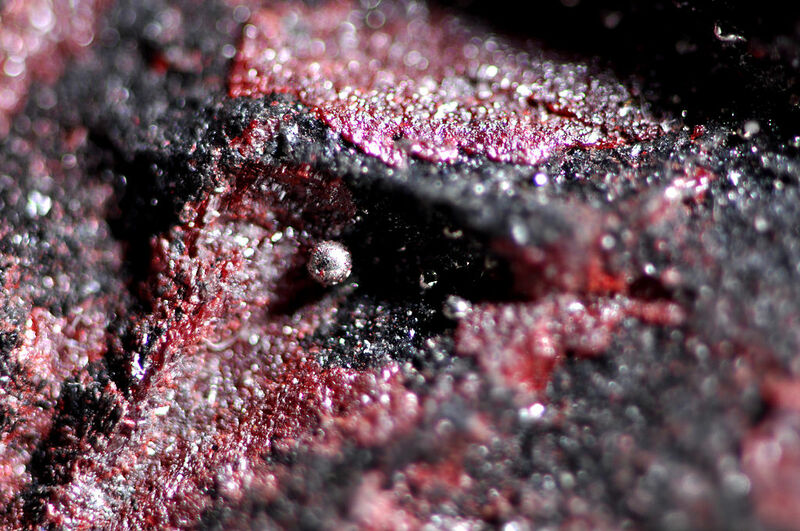 It can be very painful, and potentially life-threatening if a clot detaches and makes its way to the lungs. Compression stockings basically push blood out of the lower legs, keeping it moving and preventing clots. So one theory for how compression sportswear may help is in squeezing lactate from the muscles, in the same way as they push blood around. Lactate is the ionic form of lactic acid, which is produced in anaerobic exercise – that’s when muscles are being worked too hard for the amount of oxygen available. It’s responsible for that burning sensation in your muscles when you’ve been straining really hard. But hang on: anaerobic exercise is activities that require a lot of power, like sprinting. So it shouldn’t make a difference when used for aerobic activities like long-distance running or walking around the park, which where you see people wearing the tights. However, there could be another benefit. A study on cricketers wearing full-body compression garments found no improvement in running or throwing, but did find that they helped post-match recovery (Duffield R & Portus M 2007, “Comparison of three types of full-body compression garments on throwing and repeat-sprint performance in cricket players”, British Journal of Sports Medicine, vol. 41, pp. 409-414, doi:10.1136/bjsm.2006.033753). This makes sense, because compression sleeves are known to help soft-tissue injuries and reduce soreness (Kraemer WJ, Bush JA, Wickham RB, Denegar CR, Gómez AL, Gotshalk LA, Duncan ND, Volek JS, Putukian M & Sebastianelli WJ 2001, “Influence of compression therapy on symptoms following soft tissue injury from maximal eccentric exercise”, Journal of Orthopaedic & Sports Physical Therapy, vol. 31, no. 6, pp. 282-90, PMID: 11411623). But it does mean that tights should be more effective if you wear them after exercise, not during. What I’m trying to say is that for most people who wear these tights to go running or walking, they’re probably not going to help much. They may feel comfortable – and presumably this is why the superheroes were wearing them all along – but unless you’re really pushing yourself, don’t expect them to improve your performance. On the other hand, if you’re resting after a heavy workout, or just sitting still for long periods of time, they will reduce soreness and prevent deadly blood clots. So in fact it’s the opposite of what I found in the shops: running around no, sitting around on the couch, yes. What about the old undies-on-the-outside question? Well, if you’ve seen his latest movie, Superman’s given up on that style, just when others seem to be embracing it. Now, it’s not exactly scientific, but I’ve noticed from observation that it appears to be men who wear the shorts over tights. And – how shall we put this? – they perhaps have more to hide. And when you consider Superman debuted in the 1930s, he was probably protecting his modesty too. Last week on the show, Stu talked about something that catches the attention of many of us who over-indulge during this silliest of seasons: detox. In particular, the detox programs hawked by manufacturers of vitamin supplements and weight-loss plans, which claim to cleanse your body of toxic substances. These pseudomedicines are a beloved bane of science communicators everywhere, so I don’t really have much to add. Instead, I recommend you listen to our podcast. consumer advocate Choice’s investigation of 10 diet detox products, CHOICE says you don’t need a pill to purify (media release), or Do diet detox products work? (full article). academic website The Conversation’s recent feature Monday’s medical myth: detox diets cleanse your body. But if you really, really want something without having to click a link, take the following example: cigarette smoke. Cigarette smoke is one of the toxins most frequently listed by detox proponents. But as we all should know after decades of government advertising – like the Quit poster shown above – the only way to rid yourself of its toxic effects is to stop smoking. There is no magic pill, lemon drink, ear candle, or – heaven forfend – colonic irrigation, that will protect you from harm and allow you to keep smoking. Similarly, quitting for a couple of weeks, or 10 days as many of the detox plans seem to run for, won’t undo the damage from years of tobacco. As for other, less deadly toxins that you consume in moderate amounts – like say, chocolate – well your body is quite capable of handling them itself, thank you very much. You don’t need to swallow another substance to chase them out of your system.